I have very carefully considered commenting on political issues on this blog. However, the more I think about it the more difficult it is to separate how personnel interact with the people in Aboriginal communities and the decisions being made at State and Federal levels of Government. The latest issue before us is a policy presented by Kevin Rudd and Jenny Macklin to suspend the welfare payments of parents whose children do not attend school. Even if this policy is implemented nationally it hugely discriminates against Indigenous parents, because many Indigenous people in Australia live in situations that are wholly different to other Australians, and a large proportion of Indigenous people are dependent on welfare payments due to the historical impact of colonisation. In the remote Communities of the NT 80% or more adults receive some form of welfare payment, and most of these parents want to see their children educated. Such an approach suggests that parents are to blame for non-attendance in Indigenous communities and ignores the evidence that it is schooling on Indigenous communities that has failed the parents and the children not the other way around. Suspending welfare payments of parents if children are not attending schools will undermine further the parents struggling to do the right thing in very difficult circumstances. 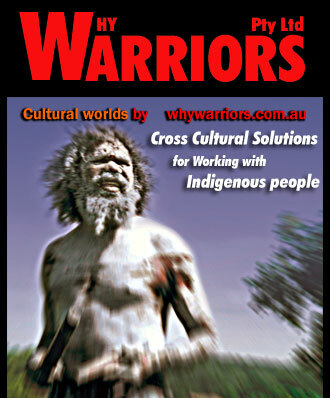 The issues for Indigenous people are just too complex to handle with broad brush approaches. Indigenous parents in North East Arnhem have adopted a wide range of strategies to try to improve their childrens’ prospects, from saving for private boarding schools to starting their own private schools, to home education in traditional knowledge. For an example of the diversity in remote areas, some of the most functional and productive families in the North East Arnhem Land area those who live in villages on their home lands or ‘outstations’ where they choose to live a more traditional life style. On these small home lands family are reliant on the little money that comes in through a few peoples’ welfare payments to maintain the whole village. Although many may not be earning their own wages they are working towards sustainability and economic development on their own land. Schools may be some distance away on relatively disfunctional communities. Some of the parents on these ‘outstations’ (and sometimes parents living in communities also) have made the bold choice to try to teach their children in the ways of their own culture in order to keep them away from the negative effects of schooling in Balanda run schools, such as drug abuse, depression and violence, to name a few. Instead their focus is on attempting to train their children to be able to live sucessfully on their home lands, which includes; training in traditional knowledge and attempting to acquire other skills training to create economic enterprises in their home lands. Will this choice be removed from Indigenous parents? This is just a sample of the problems with using such a blanket and authoritarian approach to create educational outcomes. We must be very careful we do not add to the burdens with which Indigenous parents are already struggling. Good community development arises out of working alongside people, particularly parents, and supporting them in their efforts to be successful as parents, adults and citizens. Aboriginal Leaders Respond to Government's "Second Intervention"